Information for Adult services, programs, and online resources. Welcome to the Betsie Valley District Library! 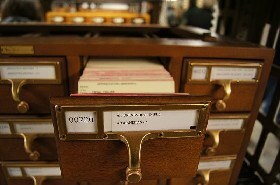 You can research the Library catalog; by Title / Author / Keyword searching. We encourage you to use the Up North Digital Collection to download ebooks, movies and music! 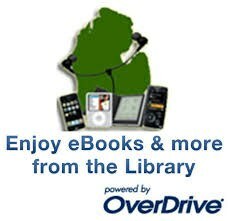 MeL is a 24/7 online library for Michigan residents. MeL Databases allow you instant access to full-text articles from tens of thousands of magazines and newspapers. Databases are available for kids, adults, and on specialized topics such as car repair and practice tests. MeLCat allows you to order books, audio books, music, movies and other materials and have them delivered to your participating library. View a video to familiarize yourself with MeLCat. MeL Databases include specialized resources such as those in health, business and areas for kids and teens. Use library tools and resources to discover new books and materials or do research online. Online resources for: Automotive and Engines, Business and Finance, Digital Downloads, Employment and Jobs, Genealogy, Government, Health, Languages, Libraries and Catalogs, Literature and Reading, Local Interest, Newspapers, Periodicals and Magazines, Schools, and Taxes. Visit our eshelf & Research page to explore these resources. We provide educational, cultural, and entertaining programs throughout the year. Visit our News and Events page to find out about these wonderful programs! We have four patron computers for you to use, call us to reserve one for you! We realize that patrons may need extra time for applying for jobs online, doing taxes, and other tasks; we will gladly try to accommodate all of your computer needs. The Betsie Valley District Library has WiFi available 24/7. The Library's wireless is accessible by logging on to the Bvdlibrary site. There is no password needed for access. The WiFi is not filtered and we advise all to please follow the Library's Internet policy. We also advise parents and/or guardians to supervise their children's and teens' access and use of the Library's WiFi. ***If you are looking for educational, creative, and fun resources for your children or teens, please visit our Kids and Teens page to find online homework help, games, and much more! ***If you would like to make a donation to the Library, please visit our Donations page. Thank you for your support of the Library! ***If you are interested in volunteering for the Library or becoming a Friend of the BVDL, please visit our Friends page. We would love to have you as a Library Friend! Betsie Valley District Library has applications for this wonderful service offered by TADL (Traverse Area District Library). You not need to be legally blind to use the services. If standard print has become difficult to read for you, a friend, or family member, please call 1-877-931-8558. The Traverse Area District Library has a branch known as The Talking Book Library which represents a free federal program for blind and handicapped persons. This library covers eight counties in northern Michigan, and Benzie County is one of them. The service includes a specific player, which a patron may use for as long as he/she wishes. Books are digitally recorded on cartridges or printed in Braille and mailed to patrons’ homes through the regular U. S. postal service. Best of all, this service is FREE - there is no charge to mail materials to or from the library. In order an active patron, one book or magazine is required to be checked out per year. The other request is that patrons return a book within 4 – 6 weeks. If a book is needed longer, there is a renewal process just like other libraries. As always, it’s best to return a book as soon as finished for others to read, and for the patron to receive more as well. Pick up an application at the Betsie Valley District Library. ***Enjoy the Great Benzie Read! This program is sponsored by the Libraries of Benzie County. Each Library selects a book and then hosts a book discussion for all readers. The nexc Great Benzie Rad will be hosted at the Betsie Valley District Library, on July 11, 2019 at 6PM. The selection will be "Educated" by Tara Westover. Borrow the book from the Library and meet up to discuss it with readers from around the county. Refreshments provided by the Betsie Valley District Library.